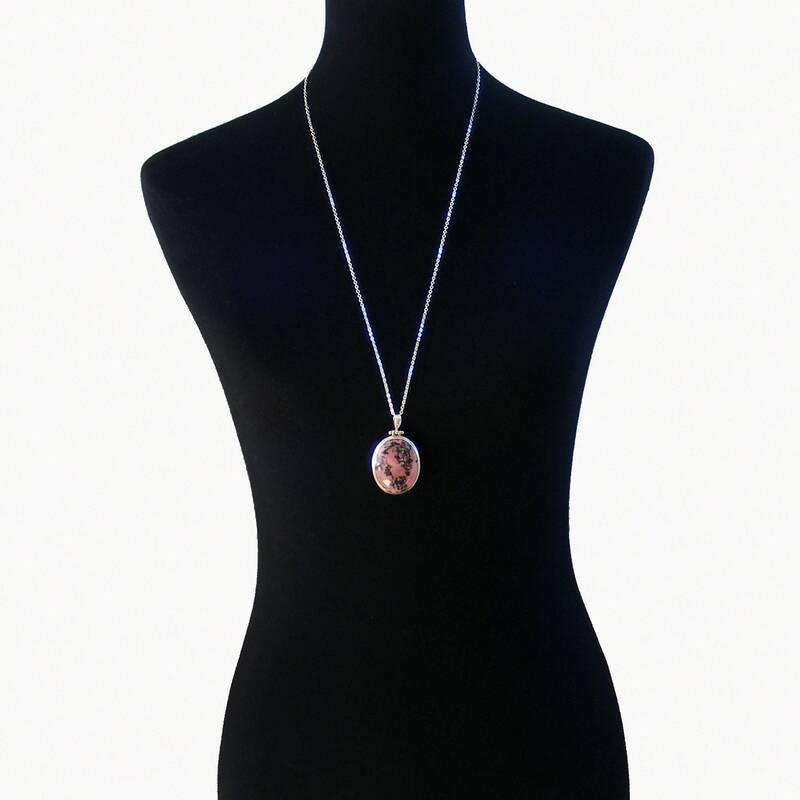 A large and luscious vintage pendant, sterling silver set with a fabulous Rhodonite gemstone. 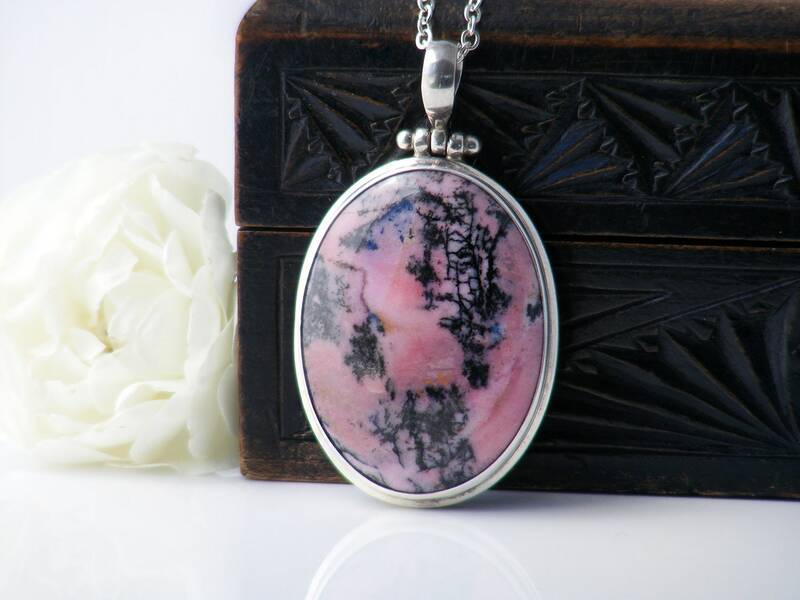 This piece is all about the color - swirls of rosy pink with mossy grey and black inclusions; the stone is very special and deserves its well made setting. Sterling silver, marked to the underside for '925'. 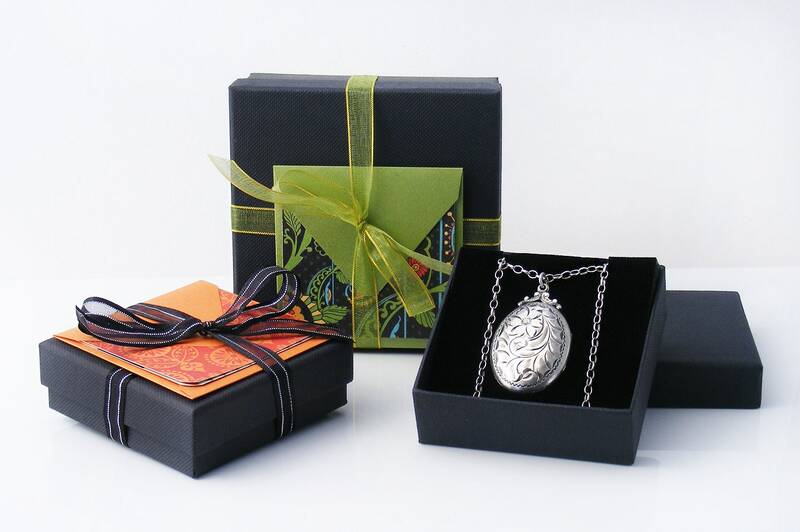 The bail is articulated and can move back and forth, ensuring the pendant always sits well. 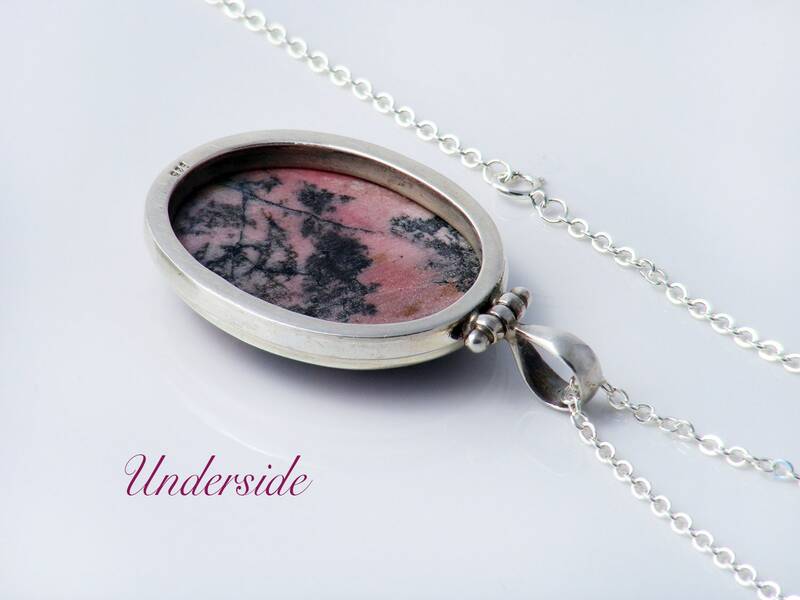 Rhodonite set into a purpose made bezel. 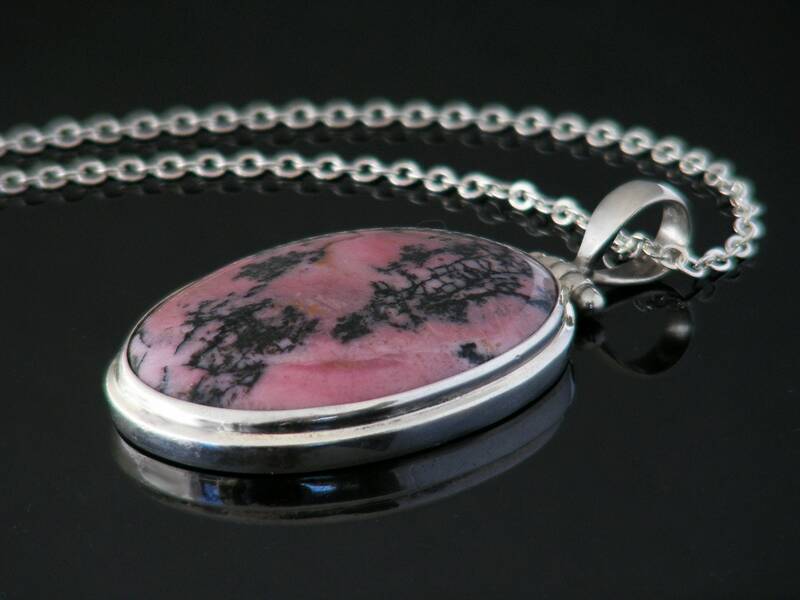 Rhodonite is the official gemstone of the Commonwealth of Massachusetts! Pendant Size: 1.25 x 1.65 inches or 32 x 42mm in size and gently rounding up to approximately 8mm in thickness. The total drop from the chain including the bail is 55mm. Condition: Excellent. No issues at all, no chips or abrasion to the stone.Nice natural patina to the silver. The pendant is presented on a new, good quality 30 inch or 76cm sterling silver cable chain, shown on a life size torso in image #3.